Why choose for Carolus Trees? An excellent case in point being the MAGNUM® apple tree. A new tree variety patented by Carolus Fruit Trees, which accelerates and maximises the production volume in fruit from the time of planting. The MAGNUM® trees saves on time, effort and costs for pruning, binding and fertilising. 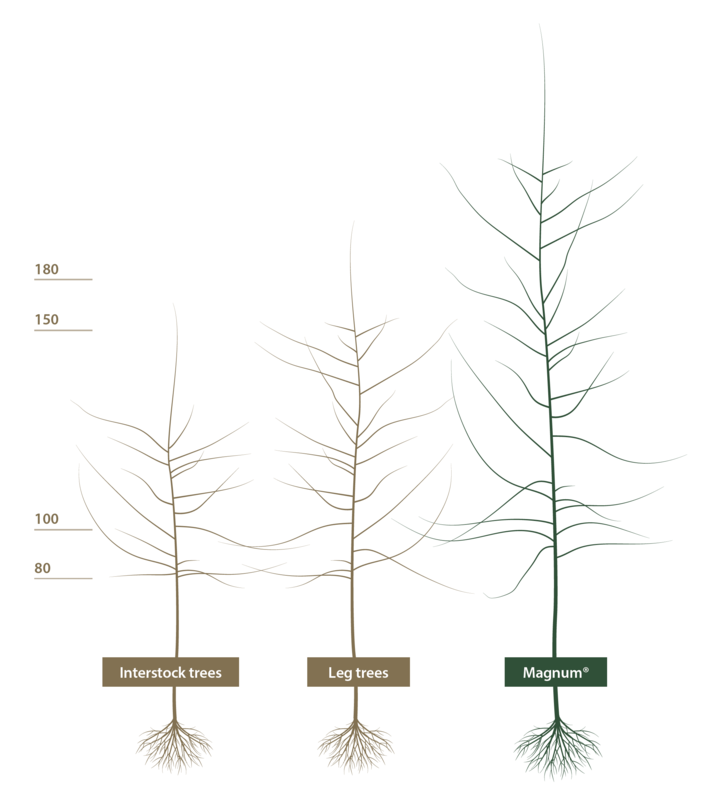 Comprehensive tests by Fruitconsult showed that, courtesy of their large tree volume, the MAGNUM® trees generate 25% more fruit than a leg tree for instance. In addition, the trees yield excellent quality fruit. Which means the added cost of the MAGNUM® apple trees is already recouped as early on as the 2nd year of production. 9-MONTH TREE, KNIP TREE OR “OUR” MAGNUM®?